A trio of Clovis Unified star football players signed on to play at the next level, two from Buchanan and one from Clovis West. 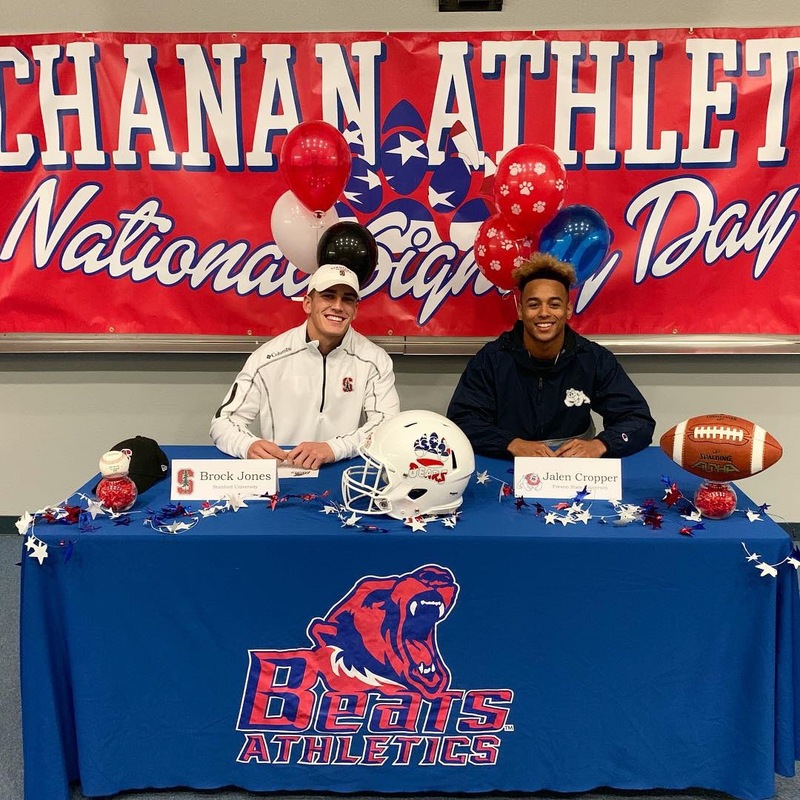 Buchanan’s Brock Jones signed with Stanford University and Jalen Cropper with Fresno State, while Clovis West’s Dante Chachere pledged to play at Portland State. Jones, who will also play baseball at Stanford, played safety, lined up as a slot receiver and returned kicks. Stanford has been a dream school for Jones, a place he is very familiar with. Cropper, who transferred to Buchanan after spending his first three years at Sanger, is a four-star recruit who, like Jones, played defense at corner, returned punts and kickoffs and lined up at receiver, where he is expected to play at Fresno State. For Cropper, it came down to Nebraska and Fresno State, but the Bulldogs won out. Cropper attended Fresno State’s 31-20 victory over Arizona State in the Las Vegas Bowl. Chachere, a strong-armed and mobile quarterback listed at 6-foot-3, 170 pounds, was a two-time First Team All-Conference selection. He is fully recovered from a broken left wrist suffered during football season and is currently on the 12-1 Clovis West basketball team. Portland State plays in the big Sky Conference and participates in the NCAA Division I Football Championship Subdivision (FCS).